Former Formula 1 racer Mark Webber admits that he is "nervous" about Robert Kubica's prospects ahead of his return to the grid with Williams this season, following more than eight years away recovering from life-altering arm injuries sustained in a rally crash. Webber and Kubica were racing contemporaries at the end of the previous decade, but the latter has not raced in F1 since 2010, having almost lost his right arm after crashing in an even in Italy in early 2011. Kubica served as Williams' test and reserve driver last year, but steps up to the race squad this year as a replacement for Sergey Sirotkin. 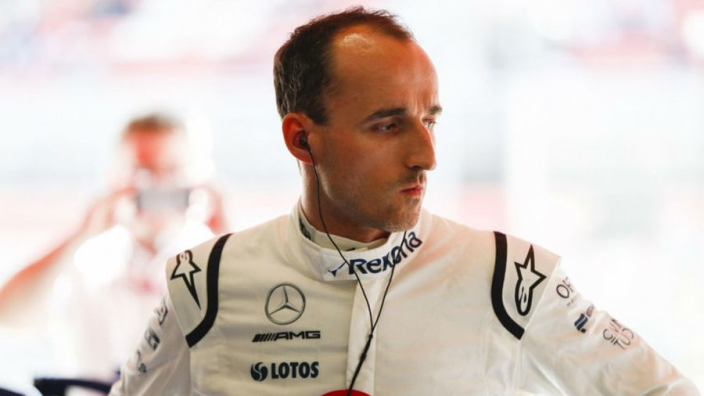 Although Williams are confident that Kubica's physical limitations will not have an impact on his racing, Webber is concerned that the mental bearing could play a role. "I'm a little bit nervous, I'm a little bit nervous about Robert," Webber told WTF1. "I'm a huge fan, but I just hope that his restrictions with his right arm aren't too frustrating for him in certain scenarios, like driving in the rain, or aquaplaning, or jumping kerbs or those type of things. "You know, mentally there's no question about it, Robert is in incredible shape, he's very hungry to prove to himself. "That's the most important thing actually, to himself, he doesn't need to prove to anyone else. "But there's a few open questions there."